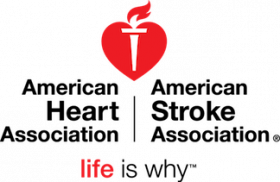 The American Heart Association (AHA) has an excellent opportunity for an Associate Peer Review Manager in our National Center office located in Dallas, TX . Reviews research program award applications (1,000+ per manager) and assigns to appropriate committee for review. Collects, and tracks reviewer expertise, analyzes primary and secondary conflicts of interest, and assigns applications to reviewers. Acts as peer review process resource in order to ensure compliance with AHA policy on research programs and peer review. Develops committee review schedules, meeting calendar, critique deadlines and manages workflow from applicant through committee to award notification and evaluation. Prepares materials, technology and agenda for committee meetings. Facilitates committee review and recommendation process. Works with committee chairs and co-chairs to consolidate reviews and recommendations. Edits reviewer critiques (3 per application) and provides evaluation to applicant. Prepares and maintains peer review committee(s) expenses, contributed services, and award budgets. Ensures compliance of award budget (awards range from $50 – 250 K each). Prepares reconciliation and audit reports. Manages project workflow, assignments, timelines, and final deadlines. Distributes communication of scheduled activities and tracks attendance and assignments. Bachelor’s Degree in Science, Healthcare, Statistics or related area of study that requires research related activities. Minimum of five (5) years professional experience with and understanding of scientific research programs. Advanced planning, scheduling, and volunteer management skills. Prior experience working with committee review process. Demonstrated ability to prepare written and presentation communications. Must be able to travel overnight approx. 10% of the time. Prior experience reviewing research program applications.